Serums can work wonders for targeting specific skin concerns, like dry patches, wrinkles, and loss of firmness. With a high concentration of ingredients, it’s said to pack a punch and is a must-have before applying your moisturizer! Do you use a serum as part of your skincare routine? If I’m being completely honest, I never did until about two years ago, and used to think it was an unnecessary step in getting ready for the day. After all, don’t moisturizers do the same thing? Let me first explain the basics of serums are so important. Just incase you’re wondering. Serum is applied after you cleanse your skin, but before you apply your moisturizer. It’s a concentrated liquid, almost gel-like, that is supposed to deliver powerful ingredients directly into your skin. Since it has a high concentration of active ingredients, it’s great for targeting specific skin concerns, like dry patches (me! ), dark spots, and wrinkles. Yes and no. It helps to deliver moisturizing ingredients, but is not formulated the same as a moisturizer. 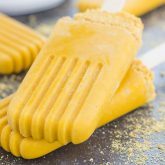 It’s more of a thin, almost gel-like substance, some the texture of an oil, and are not as thick or creamy as moisturizers. Can I use a serum in place of a moisturizer? Ideally speaking, no. At least in my opinion. I use a serum and then once it has soaked into my skin, I use my moisturizer to lock in all of that serum-y goodness. And that’s what most serum directions will tell you to do. Some people who don’t need a moisturizer can get away with only using a serum, but that’s not me. Since I have dry skin, I need all the help I can get. And that’s why I started using a serum. It gives me double the amount of moisturizing ingredients that a moisturizer would do on its own, plus, it targets some of my skincare concerns, like wrinkles. There are many serums out there, all for different types of skincare. It’s important that you chose the right one for your skin type and concern. Ever since I started experimenting with serums about a year ago, I’ve found a few that I love and trust, and some that didn’t do anything for my skin. This serum is my current favorite. 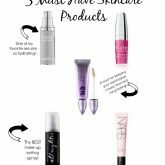 I talked about it in my 5 Must-Have Skincare Products and use this on a daily basis. The name pretty much says it all. Quench Hydrating Serum. It’s specifically formatted to lock in moisture, and it does. I can definitely tell a different if I skip using a serum and only use a moisturizer when getting ready for the day. It’s a little pricey, but worth it. Kate Somerville is one of my favorites, and a little goes a long way. You only need one small pump to cover your entire face! And if you don’t like oil-based products, you can get this same serum, oil-free. 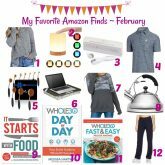 I actually ordered this from Amazon about a year ago, based on stellar reviews. 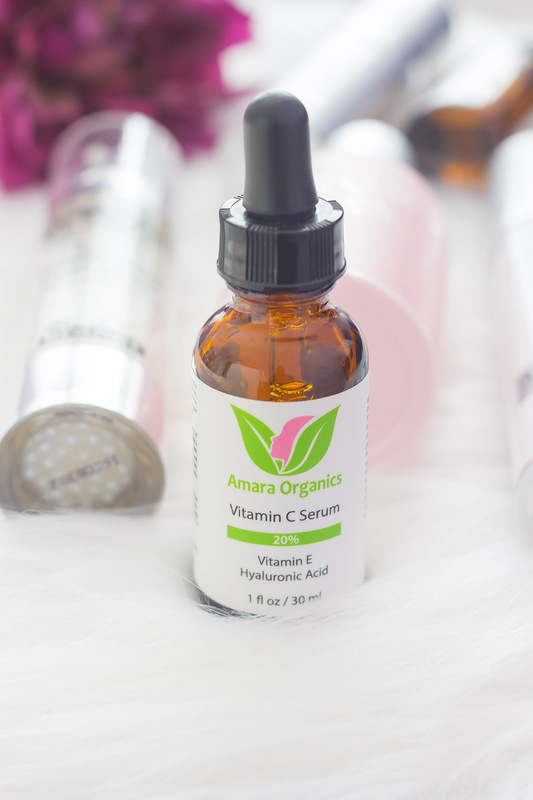 We all know that Vitamin C is great for our skin, and this serum is chock full of that. I usually use this at night, or rotate with the Quench Hydrating Serum. The price point is low and I feel it’s a great deal. A little goes a long way, I still have about a quarter of the bottle left! I’ve been using this serum after another product that I tried by this company got rave reviews. The serum is said to help restore your skin’s firmness, roughness and vitality. I really like the texture of this serum. It’s not greasy, it goes on smoothly, and seems to absorb well into my skin. The bottle is also eye-appealing, with ‘pearls’ studded in the serum. But, as far as what it claims to do, this hasn’t worked for me. The price is high if you don’t buy it on sale, but Dr. Brandt’s site offers products half off frequently, so be sure to buy then (which is what I did). I bought this serum a few years ago after researching this company. Algenist is supposed to be one of the leading skincare lines and has received wonderful reviews and testimonies. While I can’t say that the serum helped with fine lines and wrinkles, it did ‘feel’ like it was working and made my skin more even. It’s on the pricier side, but a little goes a long way. I purchased this serum when Sephora had their sale earlier this year. 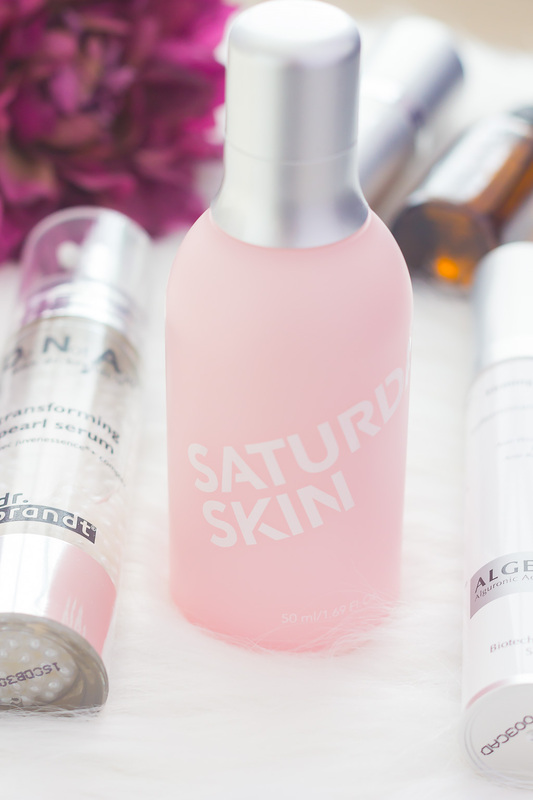 I’ve heard some good things about Saturday Skin and really like their packaging and pretty colors. Now, this serum is marketed as as an essence, which is, in my opinion, the same as a serum. 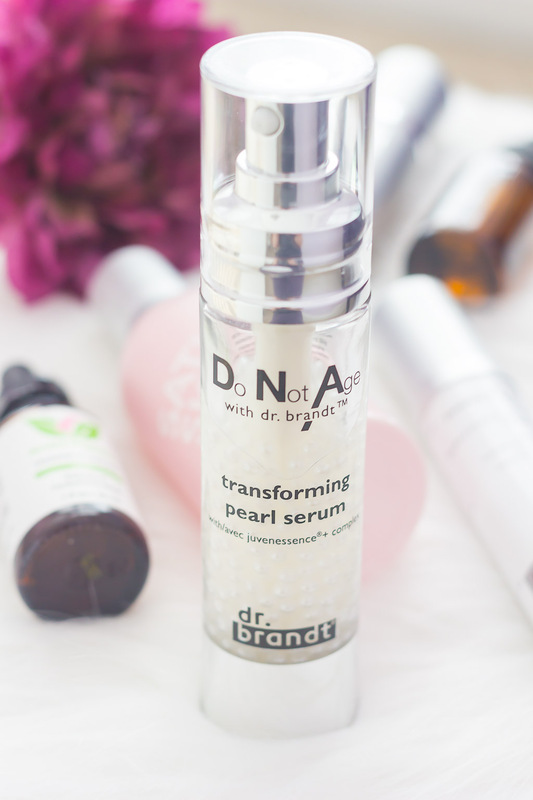 This serum is said to help with fine lines and wrinkles, dryness, and loss of firmness and elasticity. I tried using this for about eight weeks and noticed no difference in the texture of my skin. The price isn’t worth it, but the bottle sure is pretty! I am also use a homemade serum that I made out of essential oils. But I want to share that separately in another post! It’s been working wonders on my skin, and I think you’ll love it, too. So tell me, do you use a serum? And if so, what is your favorite one? I’d love to know! 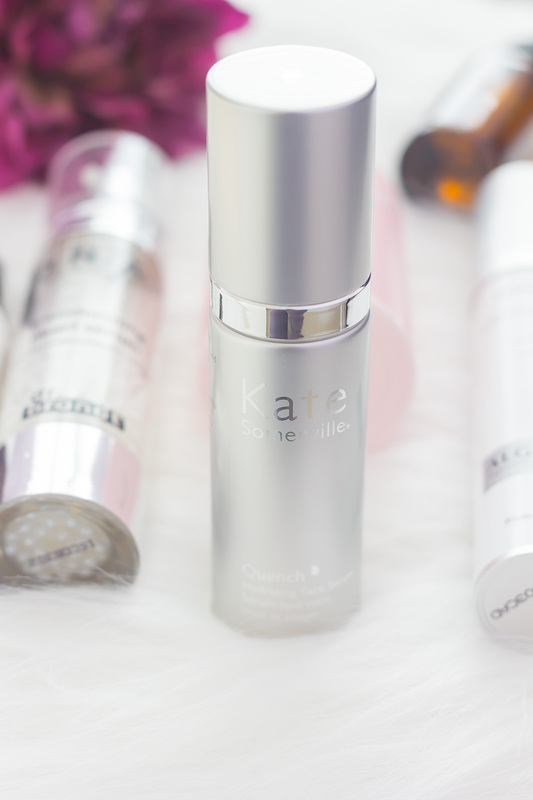 Getting older, I can certainly use some serums to bring back some vibrance! 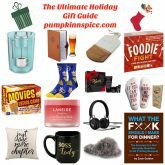 This is a great list Gayle and I plan to try the Kate Somerville one! Thanks, Marcie! Serums have definitely helped with my skin texture! Such a great post! Thank you for sharing your experience! I need to get at least one of these (the first one based on your advice), never tried them!